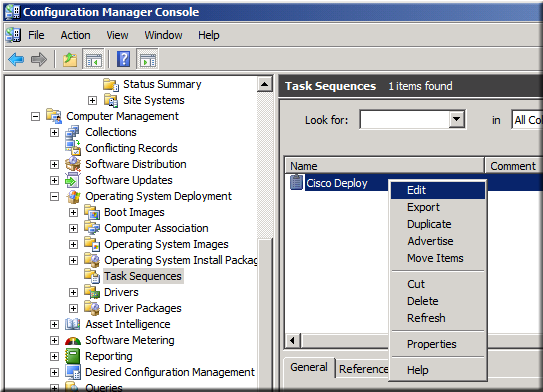 FastTrack can interact with System Center Configuration Manager (SCCM) by injecting scripts into Task Sequences. By doing this you have access to Task Sequence variables the same simple way that you have access to regular script variables. 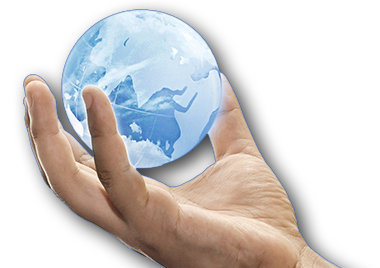 The exchange of variables between FastTrack and SCCM is completely transparent and on the fly. 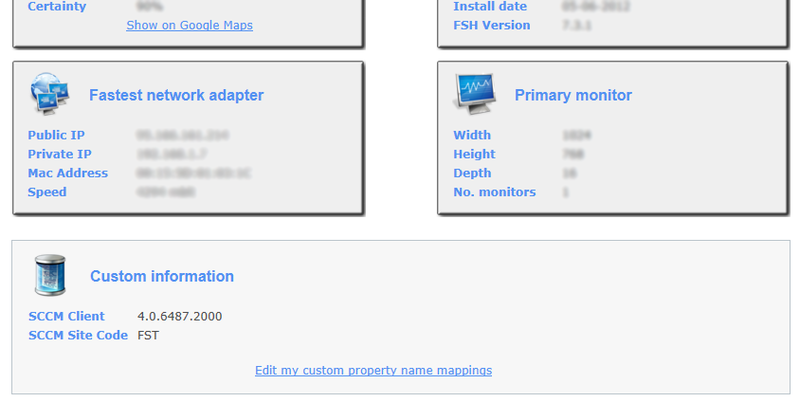 LogTaskActionInfo "Cisco VPN installation skipped - already installed"
If Not SCCMClientInstalled Then ShowMessage Your computer is unable to receive software updates. Please contact the Help Desk. In fact, this is essentially what the Logon Script Wizard does, if use the SCCM client check. The Logon Script Builder is essentially just a script generator, but you are limited to what GUI can produce, if you do not write the script "by hand". We could also choose to use the SendMail command to email the Help Desk to advise of this problem. This script line would also be of great value to put in a SmartDock script, as it is most likely that problems pushing the client to a computer would be over VPN connections for computers that are rarely or never on the LAN. When we log on to SkyBox and investigate a computer, this information is now available as two custom attributes. In the case below, the names are set by using the link below the information. The version of the SCCM client is also available in the software inventory list. FastTrack supports logging entries in the SCCM logging format. All you have to do to log, is to issue the LogTaskActionInfo, LogTaskActionWarning or LogTaskActionError command. 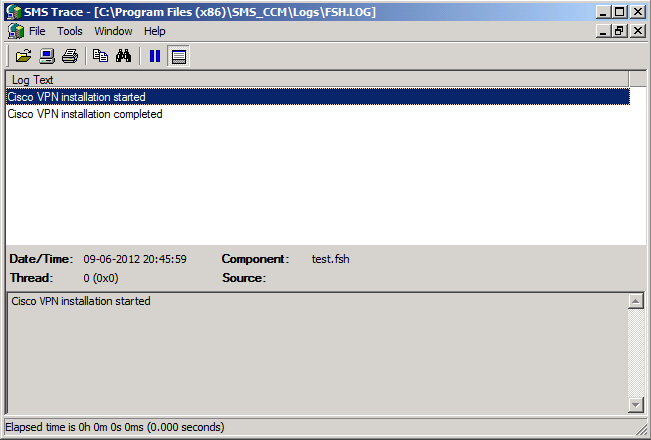 By default the log file is FSH.log, but you can change this with the SetTaskActionLogFile command. 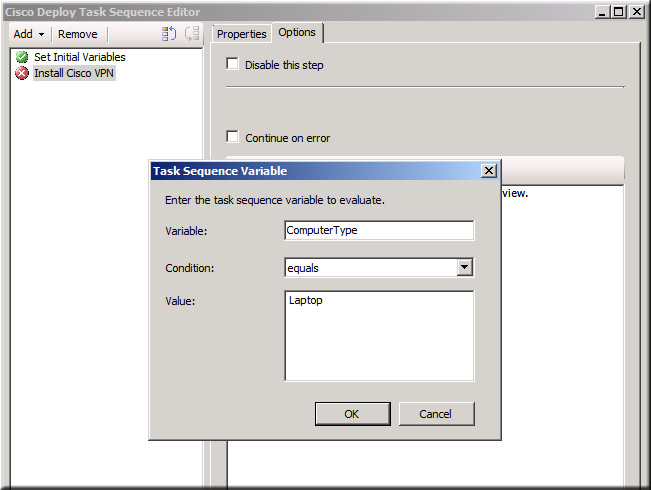 To learn what Task Sequence variables are, please refer to the official Microsoft documentation here. Basically Task Sequence variables are what make Task Sequences cool. The variables are available upon execution and only during execution. The variables available are the sum of standard variables and variables assigned specifically to a collection or computer. The standard variables (the ones starting with underscore) are read-only, whereas all other variables can be changed and new variables created during the sequence for other steps to use. When executing a script as part of a Task Sequence, all variables can be read by using the TaskVar function and existence can be checked with the TaskVarExists condition in the FastTrack script. A script line using a custom variable that must be passed from a collection variable could look like the example below, where the installation folder must be passed to the script as a Task Sequence variable. The installation folder variable can be passed by using a collection variable, a computer variable or can be defined by a previous step. 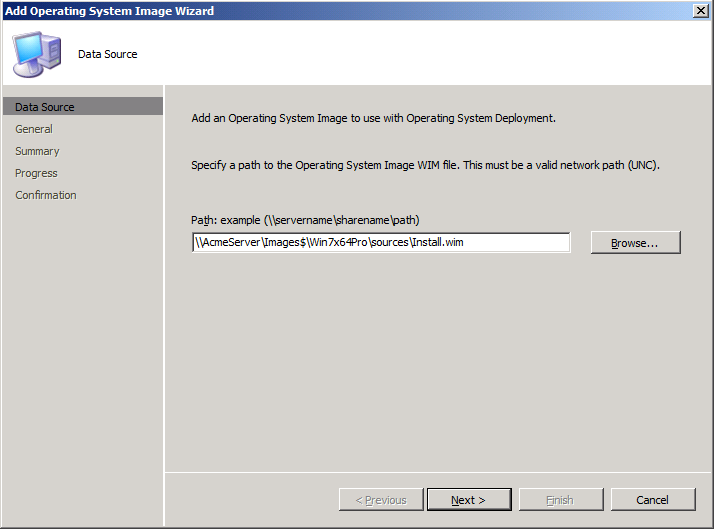 In the previous section we looked at how to consume SCCM variables in our scripts. But we can also do it the other way around and make variables available to other actions in the sequence. Any condition or other information you can do or get with a FastTrack script, you can set as variables in sequence using the SetTaskVar command. Subsequent actions will now have three new variables available: "ComputerType" (value will be "Desktop" or "Portable), "IsServer" and "Is64Bit". You can expand this script to make much more rich information available to a sequence. For example, you can now make Active Directory information of the executing computer available to the sequence, such as creating a true/false variable based on the "ComputerIsInOU" or "ComputerIsMemberOf" to tell if the computer is member of a specific group and in a specific Organizational Unit. 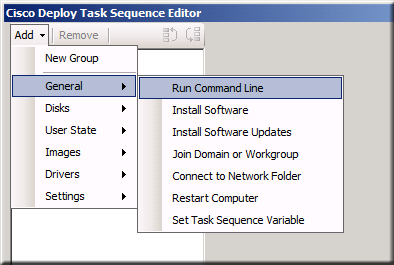 Operating System Deployments (OSD) can also use Task Sequences as part of the installation process. 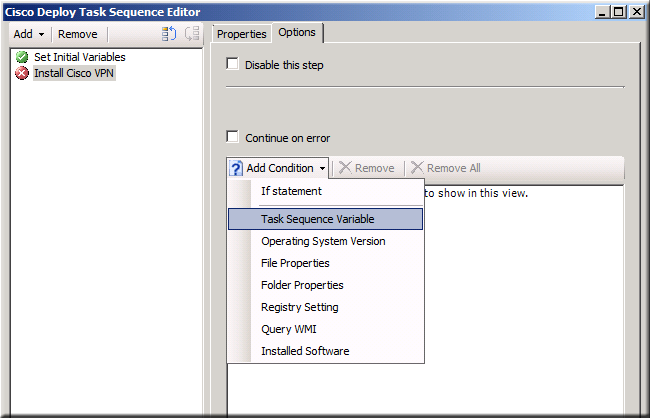 The Task Sequence will be running under Windows PE and for this reason, it is not recommended to use a FastTrack script at this stage for two reasons. The first reason is that FastTrack, like PowerShell, requires the .net 2.0 framework to execute and the .net 2.0 framework is not available in Windows PE. This limitation is relatively easy to overcome, if you Google the subject and it is relatively easy to get FastTrack and PowerShell to work under Windows PE. However, the second and more important reason is that Windows PE is not the full operating system and therefore only a subset of FastTrack and PowerShell will actually work under Windows PE, which is the real reason why FastTrack Software cannot support use under Windows PE the same way Microsoft cannot support PowerShell under Windows PE. The way to get around this is to handle this scenario a little different. Let SCCM execute the basic Task Sequences required to install drivers and packages and then hook into the unattended deployment process later and get access to the full Windows API, all features of FastTrack and the ability to work with your Active Directory during OS installation. Basically it is just a question of placing 4 files in the source image under Sources\$OEM$\$$\Setup\Scripts, which would be under \\AcmeServer\Images$\Win7x64Pro\sources\$OEM$\$$\Setup\Scripts in the example below. Please refer to this page for documentation on how to execute FastTrack scripts with SCCM OS deployments. In the previous sections we have focused mainly on how to distribute software using Task Sequences. You can also deploy software or maintenance tasks through regular SCCM packages that are based on a controlling FastTrack script. The easiest way to do that is to compile your maintenance or installation script into an exe file and place it along your installation files (if any). Please refer to this page for information on how to compile script into exe files. You can also just place your script and a copy of FSH.Exe and FSH.lic in the folder and execute FSH.Exe passing the script file to FSH.Exe. Handle scripting tasks that SCCM cannot do for you, like LAN and VPN logon scripts and laptop backups.